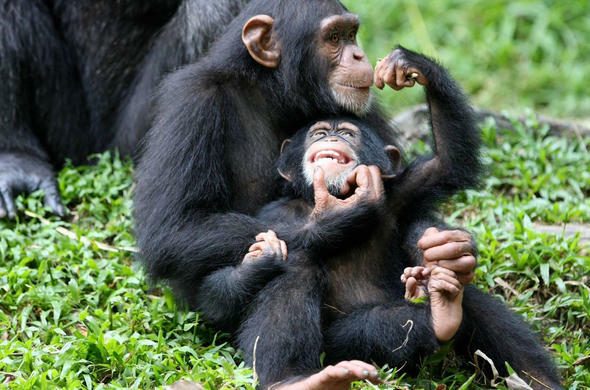 Encounter a myriad of wildlife during this 15 Day Uganda Gorilla Jane Goodall Safari. On day 1 of your Uganda Gorilla Safari you arrive at Entebbe. You will then get a chance to meet the guide and Jane Goodall Institute member. Bed & Breakfast in Entebbe. Take the 6-7 hour drive to Murchison Falls on day 2 of your Uganda Gorilla Safari. Enjoy a forest walk en route at Busingiro Nile Safari Camp. Full Board is provided. Enjoy game drives, walks and the Nile Cruise at the Murchison Falls National Park on day 3 of your Uganda Gorilla Trek Safari. Stay overnight at the Nile Safari Camp. Full Board is provided. On day 4 of your Uganda Gorilla Safari trek enjoy games drives and walks at the Murchison Falls National Park. Stay over at the Nile Safari Camp. Full Board is provided. On day 5 of your Uganda Gorilla Safari, the tour travels to Kibale Forest where you stay in a tented camp or lodge. There is the option of going on a night time primate walk. Full Board provided. On day 6 of your Uganda Gorilla Safari the tour does some Chimpanzee tracking at the Kibale Forest, then visits the Kibale Eco Tourism Program. Full Board is provided. Enjoy game drives and forest walks in Maramagambo Forest on day 7 of your Uganda Gorilla Safari. The tour goes on various game drives on the 8th day of youe Uganda Gorilla Safari. Spend the night at Queen Elizabeth National Park. Full Board is provided. The tour travels to the Kabale region via Kalinzu Forest and Lake Bunyoni on day 9 of the Uganda Gorilla Safari. Stay overnight in a tented camp. Full Board is provided. The tour partakes in community projects and forest walks on day 10 of your Uganda Gorilla Safari. Stay overnight at the Rwanda Lodge-Gorilla Nest. Full Board provided. The tour enjoys Rwanda gorilla tracking on the 11th day of the Uganda Gorilla Safari. Stay overnight at Gorilla Nest. Full board provided. On day 12 of the Uganda Gorilla Safari the tour goes on their second gorilla tracking trip. Stay overnight in Kabale Hotel. Full board provided. Take a boat to Ngamba Island Chimpanzee Sanctuary on day 13 of the Uganda Gorilla Safari. Full Board is provided. On the second last day of your Ugnda Gorilla Safari take an optional chimpanzee forest walk. Full Board provided. This is the final day of your Uganda Gorilla Tracking Safari.You return to Entebbe for your flight out. Services of a JGI research primatologist as tour leader.